Classically Earl Grey tea is named for the 2nd Earl Grey, Charles Grey, who was the British Prime Minister in the 1830's. A historic blend that we have a fun twist on with rose petals, lavender flowers, and rosemary. An elegant tea that brings the proud tea loving history of the British together with the ingenuity of American tea drinkers. Loved her better than her cousin! 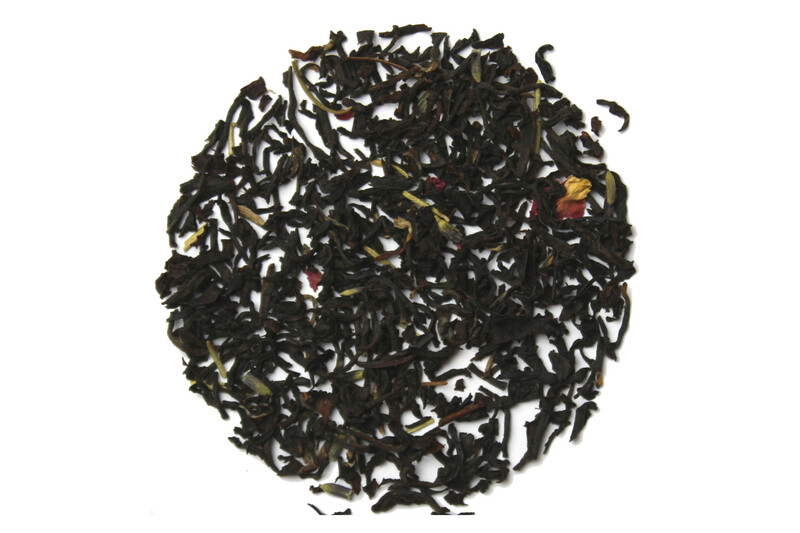 Earl Grey is a long time favorite of mine, and Rose Grey is a great variation! The classic flavor is definitely there, but the floral adds a nice twist. Very tasty twist on a classic tea. I always enjoyed Earl Grey fine, but felt most left something to be desired for me. This blend left nothing to be desired except for the pot to not go empty too soon. Relaxing, not too heavy with lavender, and the taste of Earl Grey clearly at the forefront. Certainly agree with the description - an elegant tea! Take this from a person who does not normally drink black tea, but man the florals really bring out a flavor I never expected! The lavender is the main scent but you can tell there is rose in there as well. I got this in my monthly subscription box but will be buying a full size product, I love it!